Natural grocer Whole Foods recently decided to pull the popular SkinnyGirl cocktail line from their shelves. According to the Whole Foods blog, natural can be quite a complicated definition. “‘Natural,’ on the other hand, doesn’t have a strong governmental definition when it comes to food, so my team (the Quality Standards Team) spends quite a lot of time defining which ingredients make up the natural foods we sell in our stores. The basic tenets of our standard require that our products are free of artificial preservatives, colors, flavors, sweeteners and hydrogenated fats,” Joe Dickson, Global Quality Standards Coordinator for Whole Foods wrote. 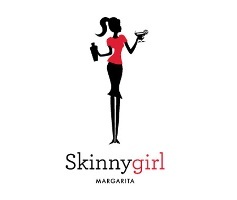 SkinnyGirl cocktails are not natural according to Whole Foods’ standards, so to be safe, use other alternatives for your happy hour fix. “If you want a drink, go with low calorie or zero calorie mixers like diet soda, tonic water, and juice. I use cranberry juice as a mixer as it is good for the kidneys!” DeFazio said. Other low-cal cocktails include the timeless mint julep, a refreshing wine spritzer, or even make your own skinny margarita! Ultimately, drinking is not going to help you see weight loss results. “If you are on a diet, skip the booze. Alcohol is not good for the body no matter how you mix it or label it with cute logos or put it in a fancy colorful bottle! Alcohol is empty calories that poison the body, period. The only “healthy” alcohol I would recommend is red wine as it contains resveratrol from red grapes which can be beneficial for the heart,” DeFazio said. Jamie is a professional writer who studied at the University of Oklahoma and specializes in covering health and fitness topics. She enjoys pilates, karaoke, and her mom's homemade chicken and noodles.